What Is Considered Proper Golf Attire? The dress code for golfers can vary from course to course, especially between private country clubs and public courses. At public courses, there may be no dress code or a relaxed one that allows jeans or shorts, whereas private clubs may have very strict guidelines regarding what attire is appropriate for the golf course. At most courses with a dress code, the general attire for tops is a collared golf shirt. These types of shirts are often short-sleeved and have two or three buttons and are long enough to tuck into pants comfortably. At some courses, long sleeve shirts with a sweater and/or blazer are required of men. The dress code for women may stipulate that they may not wear a shirt that exposes the midriff during the swing. The course may permit sleeveless shirts for women as long as the shirt has a collar. For most professional tournaments and private courses, slacks are required for all men. Some courses allow shorts for men as long as they have sewn and not cut-off hems. Women usually may wear slacks as well as skirts, as long as skirts do not rise more than 5 in. above the knee. Public courses often allow jeans, but a number of courses have instituted a "no denim" rule. Belts are also required with pants or shorts nearly everywhere. Most courses do not require you to wear golf spikes, but if you do wear them, most courses have disallowed metal spikes on the course and in the clubhouse. Softer plastic spikes are the rule, as they do not damage the course. You may not wear boots at most golf courses. Most clubs allow baseball-style caps as long as they are worn straight forward. Courses may also allow golfers to wear straw hats or visors if they prefer. 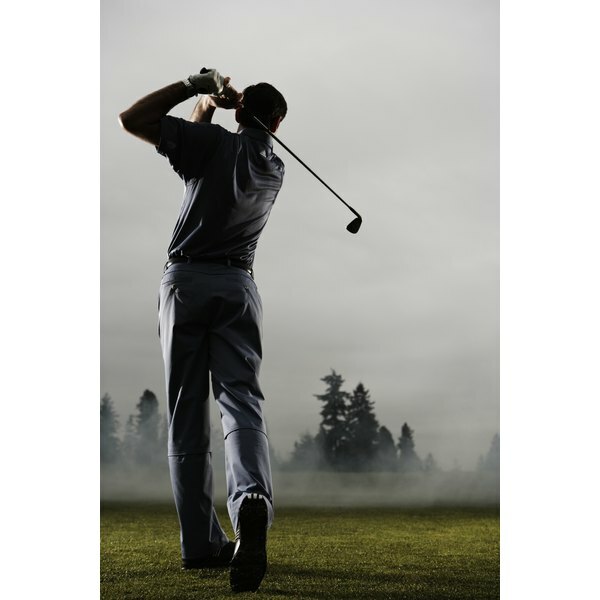 Which Golf Clubs Should Be Used for Pitch & Putt?